Solutionreach, the leader in patient relationship management (PRM) solutions, today announced it has hired Nagi Prabhu as Chief Product Officer. This addition showcases the company’s commitment to innovation and growth in new markets. Since its founding in 2000, Solutionreach has pioneered the industry’s leading PRM platform. The company sent the first text message in healthcare and has continued to be an innovation leader in patient communications ever since. Today, Solutionreach supports over 25,000 practices and facilitates more than one billion messages to patients. One in four Americans connects with their providers using the Solutionreach platform. 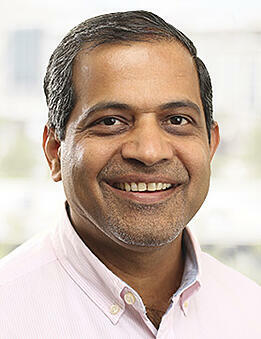 Prabhu brings 18 years of executive level product experience with him to Solutionreach. Most recently he was the Chief Product Officer at Icertis, the leading provider of contract lifecycle management in the cloud. Prior to that he held executive roles at Apttus (acquired by Thoma Bravo), CA Technologies (acquired by Broadcom), RealPage (NASDAQ:RP), and Intacct Corporation (acquired by Sage). In this role, Prabhu will draw on his many years of experience to lead product strategy, product marketing, product management, and partnerships. His skills will be an asset as Solutionreach adapts to changing market factors like value-based care and provider consolidation. In the last two years Solutionreach has taken steps to meet many of these needs with the addition of SR Conversations, a real-time, two-way text solution and SR Spotlight, a VoIP caller ID that integrates with the practice management system to identify inbound callers and prompt staff with essential information for that phone interaction. These solutions save time for staff and provide an experience that every patient expects today. For more information about Solutionreach, please visit www.solutionreach.com.